In the era of constant electronic media, Ronald Reagan mastered a new technique, the intermittent reinforcement of denial and fear. He calmly reassured whites that Eden was secure, and he terrified them with prospects of imminent nuclear war. He described the USSR with inflated, demonizing rhetoric: evil empire, shadowy, fanatics, satanic and profane. The corporate media complied. Long before Fox News, Time and Newsweek described Russians as savages, dupes, adventurers, despots and barbarians. Their methods were brutal, treacherous, conniving, unmanly, aggressive and animalistic. This was the language of the respectable, “middle of the road” print media. “Unmanly” yet “aggressive” – only the Prince of Darkness himself (or Dionysus) could hold such contradictory projections. But we have seen that “othering” doesn’t have to be consistent. 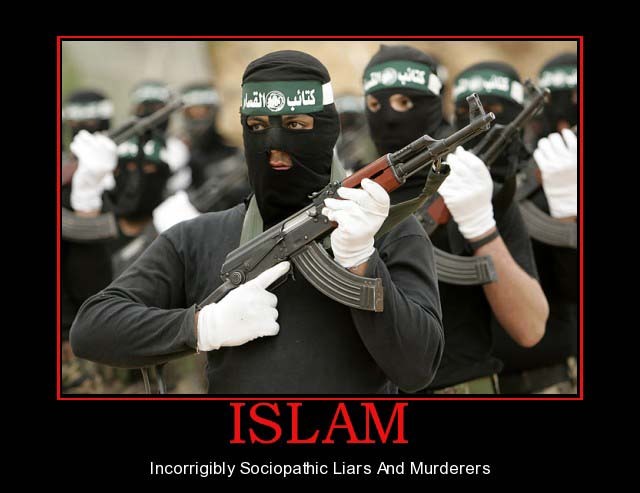 Any effective, demonizing narrative will do in the service of fear-mongering. The nightmares just below the American dream had persisted in their common fantasies of this red, external Other for seven decades. 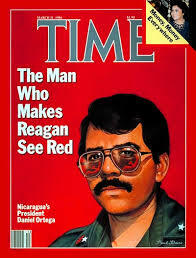 Now, when Reagan denounced Nicaraguans as Soviet proxies, no one pointed out that the U.S. had been invading Nicaragua (six times) since long before there had been a Soviet Union. Despite its 12,000 nuclear warheads, America needed the “Star Wars” missile defense; the greatest power in history couldn’t protect itself from the barbarians outside without appealing to the high-tech gods. Nor could it solve the internal threat without building more prisons and establishing SWAT teams in every city, a process that would result in the militarization of the police all across the country and the incarceration of millions of black men. George H.W. Bush sheered up those cracks with mendacious language about international terror, creating a new hysteria against a new, brown Other that has kept the pot boiling for the past 25 years. After decades of invisible communists in our midst, it has been somewhat reassuring to be able to readily identify the bad guys. In terms of American myth, this is older territory: racialized war. In terms of propaganda, it is sheer genius: war not against a nation or even an ideology, but against an emotion, a war that no one can declare victory over. The Gulf War made violence acceptable again, and pacifist euphoria about the end of the Cold War quickly dissipated. Bush boasted, “Viet Nam has been buried forever in the desert sands.” Saddam Hussain, more valuable to the myth as the face of evil as a free man, remained in power for another twelve years. One official candidly admitted, “Saddam…saved us from the peace dividend.” Osama bin Laden’s public story would follow the same trajectory. Sensing the opportunity to hit an easy but lucrative Muslim target, Hollywood contributed Rules of Engagement, Iron Eagle, True Lies, The Siege, Delta Force, Harem, Executive Decision and countless other films. But the cracks continued to emerge, and so did the perceived need to unite Americans in the experience of shared fear. We have good reason to suspect that those who spoke of needing a “new Pearl Harbor” in the period preceding the 9-11 attacks were predicting the next terror event, the next witch-hunt and the next crusades to rid the world of evil and spread democracy. What did the government know prior to the attacks? It doesn’t matter. This matters: on September tenth, George W. Bush was the least popular president in modern history. On the twelfth, he was the most popular. Do you remember those years, the blur of layoffs, corporate scandals, color-coded predictions of immanent danger, “nation-building” in Afghanistan and “duct tape security?” Do you remember pundits warning about “crack babies” and black youth “superpredators” who would murder for new athletic shoes? Do you recall how America’s elected leaders lied every single day – and continue to lie every single day – about the causes, goals and costs of their wars, about their concern for those who were returning with brain injuries and could not get appointments at the VA; about their commitment to protecting your privacy? While two-thirds of the population believed (one-third still do) that Saddam was responsible for 9-11, nearly half of us agreed that America had special protection from God. But just beneath the confidence and optimism was a tooth-grinding fear of the future. Americans had lost their innocence. The cadaverous face of evil was waiting, just beyond, or possibly already within the walls. This was a new experience, claimed the pundits. Or was it? Hadn’t Americans feared Indian attacks for three centuries? Hadn’t they been terrorized for seventy years by red hordes from the east? Hadn’t every president since Truman managed a war economy that perpetuated itself on fear of the Other? Hadn’t politicians played the “race card” for two centuries? Hadn’t gun sales continued to rise even as crime rates were plummeting? Weren’t Americans already armed to the teeth? Had they forgotten about coded occult messages in Dungeons & Dragons, “satanic abuse,” the “missile gap,” the “domino theory,” the “window of vulnerability” and the Evil Empire? Hadn’t fear of contracting AIDS ended the sexual revolution? Hadn’t they been stuffing themselves with anti-depressants, hormone replacements and potency drugs? Hadn’t fear of losing property, status, security, virility, youth, freedom – and innocence – always been at the core of the American experience? Hadn’t we bounced between denial and terror for our entire history? Bush II and Obama (in this context, Bush III), have been much subtler than their predecessors in demonizing the new Other, using the word “terrorists” as a euphemism but rarely using it to modify “Muslims” or “Islam.” They haven’t had to be as crude as Reagan’s language about communists, because Reagan didn’t have Fox News, Rush Limbaugh, a legion of racist televangelists led by Pat Robertson or a unified Hollywood with its dozens of Islamophobic movies. Reagan didn’t have legions of Tea Party bigots whose hatred of immigrants pushed compliant politicians to introduce absurd anti-Sharia law legislation in 32 states. Just below our characteristic American sense of bright-eyed optimism and can-do pragmatism, our national shadow continues to gnaw at our souls, reminding us of our dissatisfaction. Below that is an infinite well of unresolved grief for the centuries of slavery and genocide. Above it is an epidemic of anxiety. Forty million Americans will be impaired at some point as a direct result of an anxiety-related condition. Our first line of defense (or denial) is substance abuse. Nearly 17 million people, or 7.2 percent of adults, suffer from alcohol-use disorders. Multiple studies have found that nearly 50 percent of the federal counterterrorism convictions since September 11, 2001, resulted from informant-based cases. Almost 30 percent were sting operations in which the informant played an active role in the underlying plot…vulnerable individuals are targeted and manipulated not for any criminal acts they have committed but rather for the bad political views they have expressed…sending young people to prison for decades for “crimes” which even their sentencing judges acknowledge they never would have seriously considered, let alone committed, in the absence of FBI trickery. The inquisitors become heroes in the media and receive increased funding, and the public emits a mass sigh of relief. But the anxiety remains: What if they aren’t able to stop the next plot? We do, of course, have plenty of actual problems to worry about. Nearly half of U.S. households live on the edge of financial collapse with almost no savings or retirement assets. But in a broken political system, channels for expression of legitimate discontent have dried up or been directed into right-wing populism, which always hungers for a scapegoat to sacrifice. Since the end of World War Two, fear has allowed us to love our country, right or wrong, as the national security state has bombed nearly fifty countries. And it continues to allow the police to murder a Black man every twenty-eight hours.